Okay, so, today, I cut my hair by myself again. Saves me a lot of money, considering the amount I have to pay for a simple haircut here in Denmark. 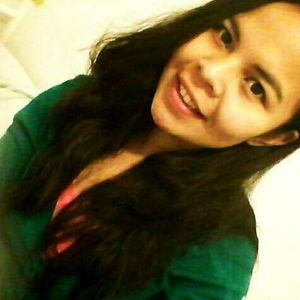 I just cut it in layers, and thanks to its natural curls, I don’t really need to worry whether I did it perfectly or not. Messy is cool, isn’t it? 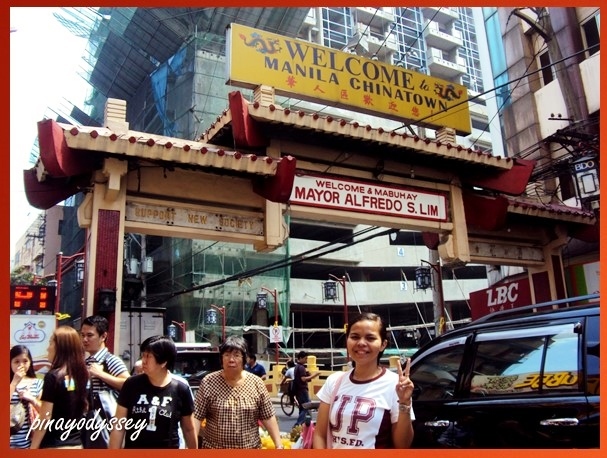 Moving on, here’s part 1 of my first visit to the oldest and largest chinatown in the world: the Manila Chinatown! I have heard a lot of good things about this big Chinese community in Manila. Advertisements and articles all depict China Town as a must-see destination for tourists and locals alike. 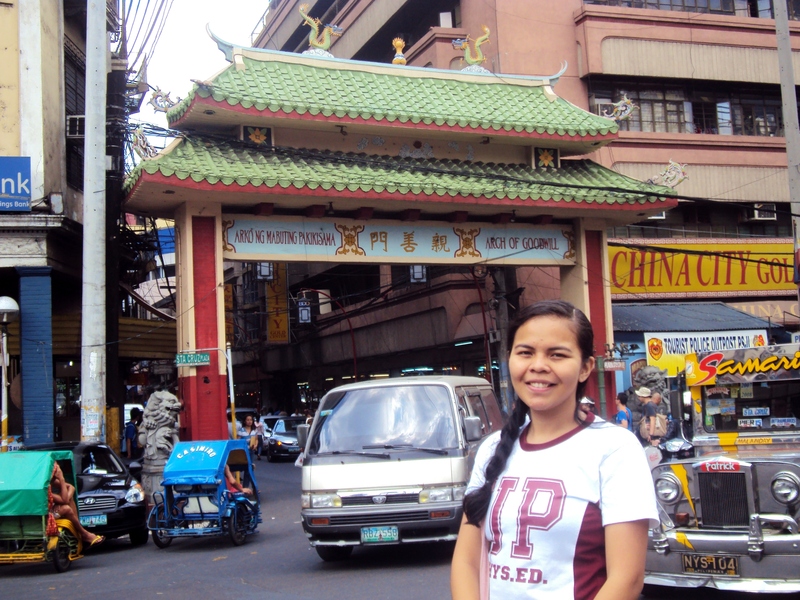 And so I decided it was high time for me to explore Manila Chinatown. Binondo is the actual name of the place, a community primarily inhabited by ethnic Chinese living in the Philippines. The term came from the word “binondoc” which means mountainous. Spanish governor Luis Perez Dasmariñas founded the place in 1594 and established it as the settlement for “sangleys” or Chinese converts to Catholicism. There are several ways to get to Manila Chinatown and one of them is via LRT train. Just get off at Recto Station and from there, walk unto the streets of the urban area. Walking is the ideal means of exploring the town, but you may hail a pedicab for a little convenience. Tip: Make sure you have an agreement with the driver. They can be tricky and ask more than what you should pay. It is a thrilling experience to ride a pedicab. You will notice that the streets are too narrow and teeming with trucks, cars, jeepneys, vans, horse-driven kalesas and other pedicabs. 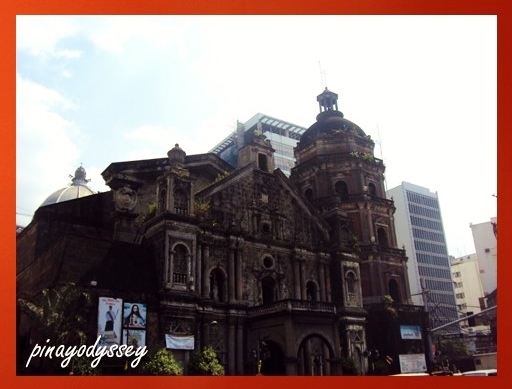 Probably one of the must-see things in Chinatown is the 150-year old church of Our Lady of the Rosary, popularly known as the Binondo Church.It was built in the 16th century to accommodate the Christian-baptized Chinese. Based on history, the Spaniards were very suspicious and wanted the Chinese to be baptized first before letting them continue their businesses. The interior of the church is astounding! 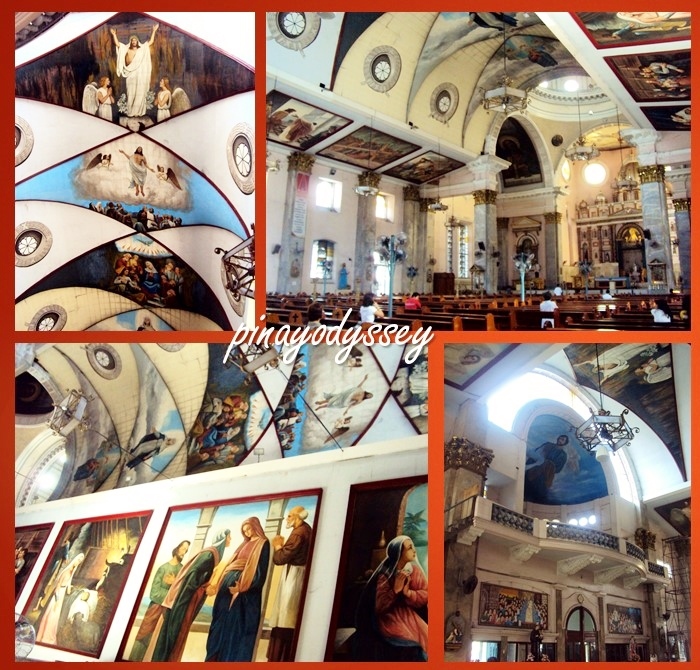 You will be awed to see the painted frescoes on the ceiling inspired by the Sistine Chapel in Italy. Note: The only remaining original part of the Church is its octagon-shaped bell tower. 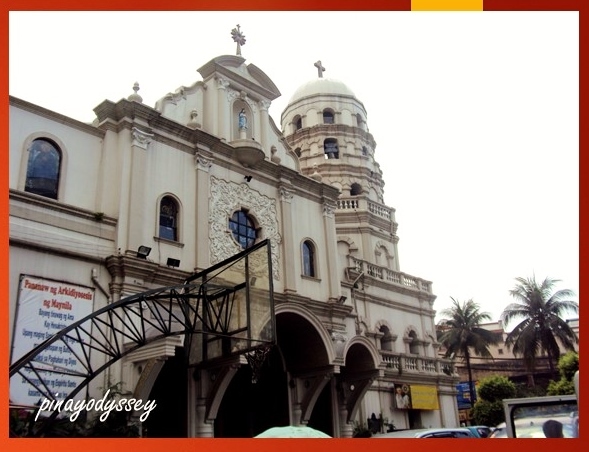 Just across the church is a huge statue of San Lorenzo Ruiz, the first Filipino saint. 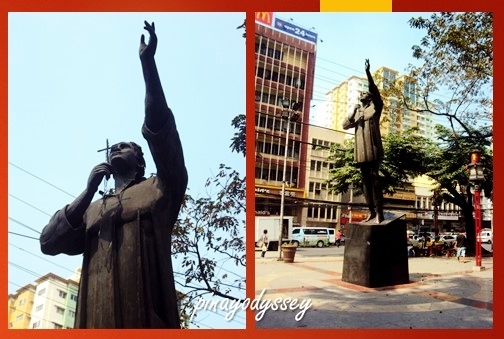 He was born in the 1600s in Binondo to a Chinese father and Filipino mother. He was one of the Catholic martyrs executed in Japan in the 1700s. Canonized in 1987 by Pope John Paul II, San Lorenzo is patron saint of the Philippines, the Filipino people, OFWs, the poor, separated families, Chinese-Filipinos, and Filipino altar-servers or sakristan. And at the back of the Church is another statue. 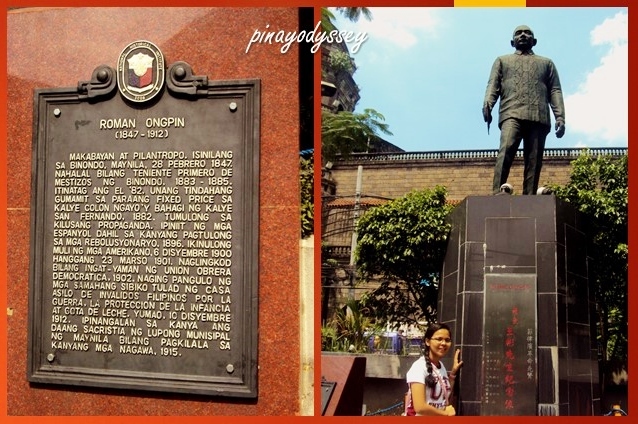 This time, it’s Roman Ongpin, the first dealer of art materials in Chinatown, a merchant and philanthropist. Another church with a beautiful architectural facade you might find interesting is the white Church of Sta. Cruz located just across the Arch of Goodwill. 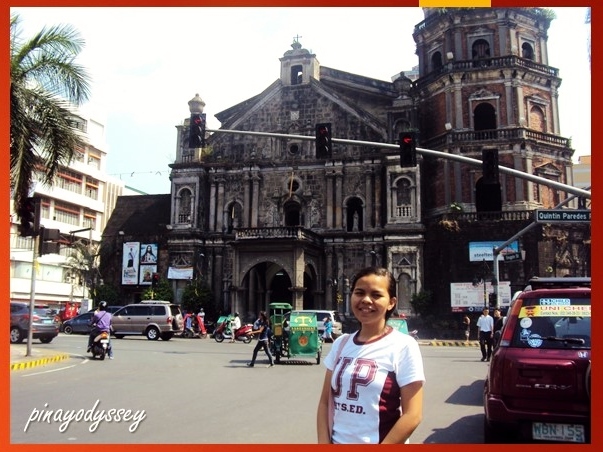 It is a Baroque church built in the 1600s by the Jesuits, with Our Lady of the Pilar as the patroness. There are lots of stores and stalls where you can buy lucky charms, foods and goodies. 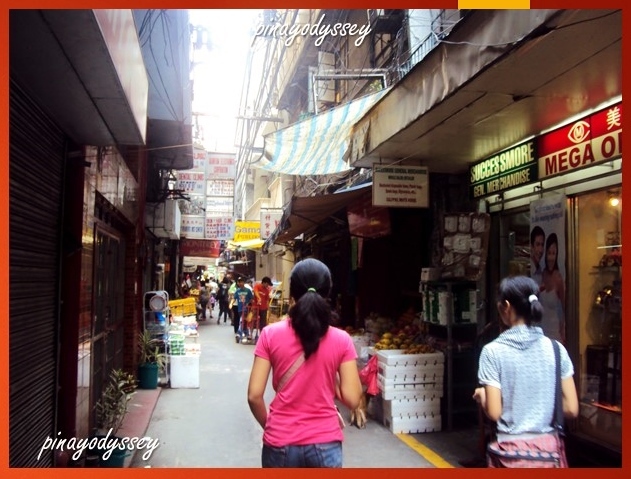 One of the most talked about is Carvajal Street, an alley of fruits, veggies, dry goods, sea foods, candies, etc. 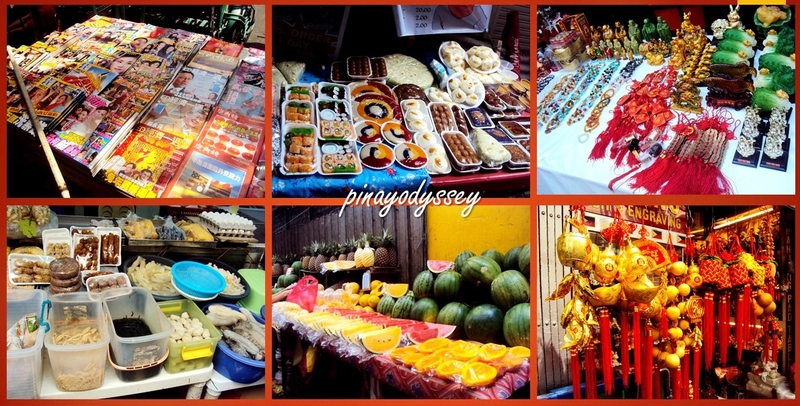 Manila Chinatown is a place to remember! Just be careful of pickpockets (the place is teeming with people all the time!) and you’ll be fine. 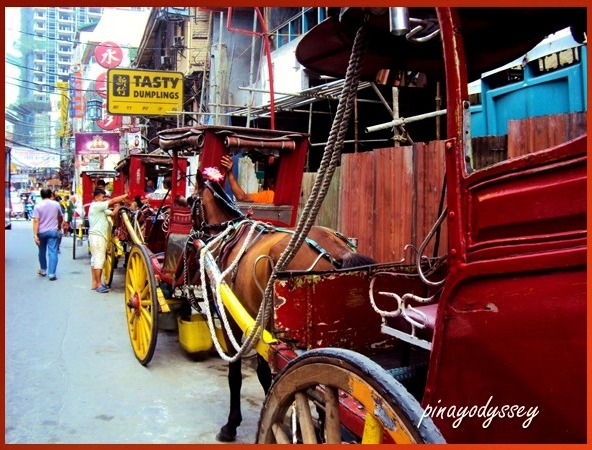 It takes about a day to explore the historical and rich Manila Chinatown. 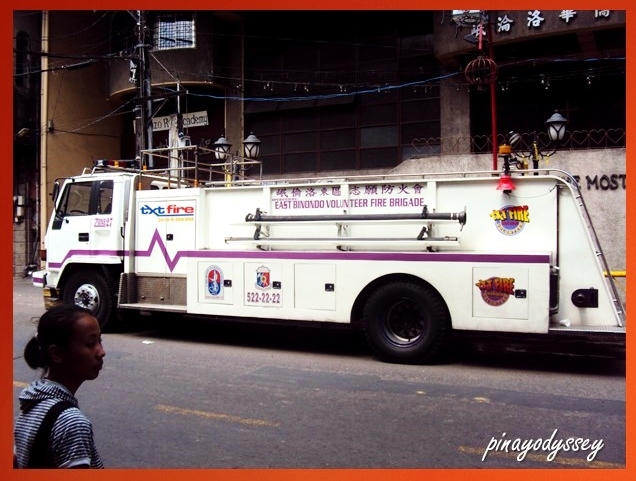 And aside from the spots mentioned above, you should also make sure not to miss the purple fire truck, the kalesas, and of course, delicacy store EngBeeTin for some hopias and ampaos! Yum! Posted in PhilippinesTagged Carvajal street, catholicism, chinese filipinos friendship bridge, chinese in manila, eng bee tin, exploring Manila, faith, historical landmarks, inspired trips, lucky charms, Manila, Manila chinatown, old binondo church, pilgrimage, roman ongpin, San Lorenzo Ruiz hometown, sta cruz Church in manila, what to see in manila.